Pappas Grill Steakhouse is hosting an American Beer Dinner on Friday, August 27th at 7pm. 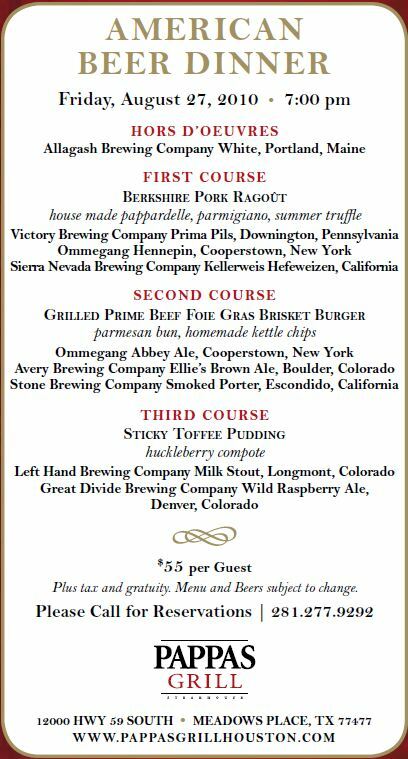 The price is $55 per person (plus tax & tip) and includes hors d'oeuvres and three courses paired with a variety of American craft beer. Click on the image to the right to see the full menu.